At Círculo Legal we work hand-in-hand with companies assisting them in achieving their business goals via our specialised corporate and commercial legal advice. Through our preventive advice we shield companies from the moment of their formation in whichever circumstances they may face: buying and selling of assets, shareholder meetings, capital increases, restructurings, mergers, takeovers, liquidation of companies, shielding of the commercial contract clauses, etc. We are endorsed by our clients and a large number of SME as well as large enterprises have trusted us to provide them with tailor-made solutions. 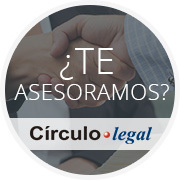 Círculo Legal aims to be your strategic partner: our advice is only devised with an exhaustive knowledge of the corporate know-how and the sector in which you operate. Business contracts: drafting, revision and interpretation. Capital increase and reduction procedures, shareholder meetings, charter amendment. Buying and selling of assets and shares, corporate investments. Procedures of corporate and commercial due diligence. Planning and implementation of corporate restructuring procedures. Mergers, takeovers, alterations, divisions, dissolutions and liquidations of mercantile companies. Conflicts between partners and administrators, petitions of objection of social agreements and administrator responsibility. Debt recovery before the Mercantile Courts. Partner and financing agreements and foundation guarantees. Preventive advice: adaptation of contract clauses, brokering negotiations, resolution of consultations and doubts regarding commercial matters.